Android Revolution | Mobile Device Technologies: HTC One with KitKat and HTC Sense 5.5 is finally out! HTC One with KitKat and HTC Sense 5.5 is finally out! 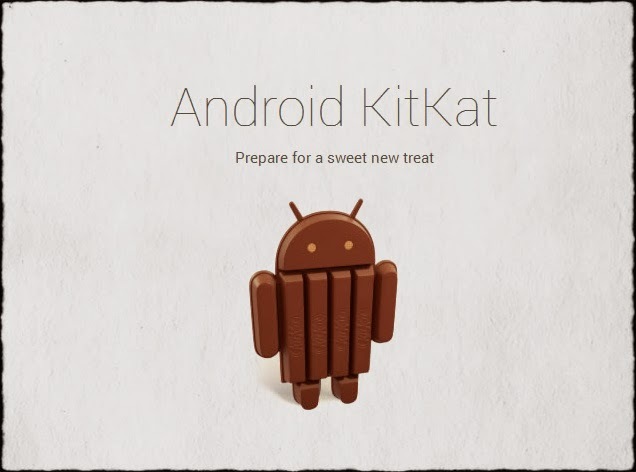 Android 4.4 KitKat with HTC Sense 5.5 is now available for the HTC One. This is a must-have update for all HTC One owners. Sounds great? Well, you might not be happy after all. So far the update is available only for the owners of the Developer Edition of the HTC One. But there is a good news too - you can have KitKat update on your "regular" HTC One too, without waiting for the official update (which might take few more weeks). To make it possible, Android Revolution HD has been updated to 40.x series, based on the official Android 4.4 KitKat & HTC Sense 5.5 update (4.06.1540.2). Here are some screenshots. You can see the new Location settings panel. Users feedback so far leaves no doubts - this update brings significant performance improvements. Some users are even reporting, that Android 4.4 with HTC Sense 5.5 gives better performance experience than pure KitKat update for the HTC One Google Edition which we wrote about here. I think this is enough said. Don't stay on your old 4.3 OS and grab newest 4.4 update as soon as possible! i have 31.5 ,, do i need full wipe before flashing this rom ? It works fine for me without full wipe. After flash, my HTC one did not start normal, it start in Recovery mode. This is bug? How can i fix it? Try "fastboot erase cache" in fastboot mode. This is in reply to Pham Dung + Reply by Mike1986 here.. I had the same problem but "fastboot erase cache" does not work and phone keep rebooting and some finally goes to Recovery mode. Install had gone smooth.Will really appreciate any help. When will be this rom for htc one mini? When HTC makes the build for Android Revolution to work on. Are you working on version for one x? Not at the moment, because it doesn't exist. Flashed twrp 2.6.3.3 and still get failed when trying to flash rom? Any info? Check the MD5 of the zip to ensure it has full integrity. For me, TWRP 26.0.1 couldn't be updated to 2.6.3.
mike1986 just let us know how likely it is for ONE X users to see this before year ends? when will it work with CWM recovery? When CWM will start supporting SELinux updater-script commands. Why don't you put the Hong Kong Traditional language in the 4.4? and we quite different with Taiwanese. Please help. We need it here. it gives me : 404 - File or directory not found. Hi, will Kitkat update my 1.54hboot? No but flashing the separate firmware file will. It's horrible that HTC keep removing good stuff from firmware. First T9 keyboard and now they removed English language for other countries. On previous firmware I just could choose English (Russian) language and it worked best for me, especially because of the dialler. I could have eng/rus letters on the dialler. Now if I set system language to English, Russian letters disappear. If I set system language as Russian, then I hate it! Is there anything could be done in this concern? I do!! But if I do so, I have lots of contacts in Russian and then I can't fast find them, by just typing the first letter! It's only possible to have both (eng/rus) if I set system language to Russian. But I don't like it as well. Never likes Russian as system language, all sounds dumb for me. On previous version you just could set English (Russian) language and enjoy your life. Now I don't see it there on the list! Is there a way to add from previous firmware? There is a solution for language problem! Install version Android Revolution 22 and then update to version 40.2. The same one as everyone else. I tried to install this rom, however I got the setmata data some meta data configuration error and the does not boot after that. Hey. I'm having the same issue as the above user. I tried Installing via CWMr and got the meta data config error, now the phone is stuck in a boot loop. I tried entering fast boot usb, plugging it into my PC to erase the cache as suggested, but the only options I'm getting are bootloader, reboot, reboot bootloader and power down. It's clearly stated all over the place that: "You need TRWP 2.6.3.3 custom recovery!" It's just above the download link in red colour. I download TWRP 2.6.3.3 is many time but is error, so how can i download the latest version TWRP? Same for me, xposed or toolbox don't work. Did you try updating xposed installer first? Then reopen sense 5 toolbox. That worked for me. Just ignore the message, all will work fine! hi there, im on ARHD 31.0 at the moment...flashing the new recovery and the new rom will do it i know, but what about all progs and everything installed on the phone? do they stay untouched when we do not do a full whipe? from what i seen no full whipe is mandatory when junping from ARHD to newer ARHD right? There are a lot of bugs in this rom, the previous one is much better. After the install, I am stuck at the recovery screen. My phone boots to recovery when I choose to reboot the phone. Hi, the same problem for me! thanks ghanahost! well working now. I have a sprint HTC one S-OFF cidnum: SPCS_001, Unlocked, Tampered, rooted and SIM Unlocked. Just checking , Installing this ROM will Lock SIM again? Should I chose International Version or Sprint while installing? Hi, Im kinda new here, but have you tried team7 sense kernel? Haven't tried it myself, haven't installed the rom yet either, if you would be so kind as to try it out and tell us if it worked, that would be great, for me atleast. thanks too, I'm still Downloading this rom, now I know that this kernel also works with it. Thanks, its purrrfect, my phone is currently restoring its apps, flashing worked perfectly. I'm having a hard time downloading TWRP 2.6.3.3 on to my Htc one tmobile. i had tried updating my recovery image with Goo manager(no Luck) can somebody help me? I've tried to install this ROM but my HTC One now is on boot loop and my PC does not recognize my phone. I can enter on recovery mode but I don't know what I can do now! Could someone give an idea? Thanks in advance. I just popped my Rom cherry last night with 40.2 as I bought a rooted phone and couldn't download the 4.3 update from Rogers. All went well, and very impressed with arhd! My phone is having two issues since the install. link is pressed. Htc browser no issues? 2: phone signal is only getting one bar at all times and I am having problems making and receiving calls. No issues before download. Lte wifi blue tooth are working as before. Any Suggestions in regards to signal issue.? I am going to download 40.3 to see if this resolves the signal issue. My phone is still in recovery loop and I my computer cannot recognize the phone. I am able to access the bootloader but that is all I can do with the phone now. Well done Mike and the ARHD family !!! Just making an addendum to this comment ... Don't dirty flash if you're coming from a previous version ... I found several application problems the deeper I got into using 40.3 ... it seems 40.2 worked OK but 40.3 broke - Now doing a clean flash. Does the notification led flash longer then 5 minutes? Iam sad of using lightflow. Could someone tell me if this works with the Verizon HTCone? Also using the latest version of TWRP but the MD5 is missing it says...also can't find it in the file...help please. Works perfect for me.. The only concern is that with 31.6 there was an HTC one tmobile option during installation which gave me better seemingly better signal.. When I chose the international setting in this install my signal is always low... Will tmobile selection come back soon? At the risk of sounding vague, I wanted to chime in on the fact that battery consumption with this new ROM/firmware is disappointing. I was on the 20.x series before with about 2 1/3 days up-time. Now, it's less than a day. Best I can tell, some process is keeping the phone from going into deep sleep while forcing the wake lock to be engaged constantly. Very annoying. Sense 5.5 cant have another background on lockscreen can it? If still so, I think I pass.....sadly. I used flashify to install twrp 2.6.3.3. I used supersu by chain fire as my superuser as nothing else worked. I did a dirty install and all works perfectly except my signal bar status which permanently stays at 2 bars. I highly recommend. This is perfect. Its working for me. Thanks many many thanks for great post. Hello, İ try to install That Rom revolution 40 but the openingis giving bootloader loop and not open the device. I read the i must to install openrecovery-twrp-2.6.3.0-m7vzw.img i downloaded it but i dont know how to install. Can anybody help me about this. I try to do on cmd command panel but it did not give any reaction and when i type "fastboot devices"
Battery life is poor on this release. Pls fix this! Hey mike, i just flashed 41.0 on my htc one and for some reason it's kinda slow/laggy. i notice it especially when i open my app drawer and when i scroll quickly (which never used to be a problem). Can you think of any reason why this might be happening? I did not do a complete factory reset before flashing to 41.0 from 30.0. Could that be the problem? Thank you. Hi guys i just wanna thanks you for all the work y've done on that perfect rom. You are surely one of the best developer and your rom are just always almost perfect.